Do You Live in a Smart Grid Deployment State? Did your state make the list of top 15 smart grid deployers? Does your community implement or require smart grids or meters? Many states are taking advantage of the benefits that they can provide including getting a more accurate reading on energy usage and tracking where wasted energy is occurring. 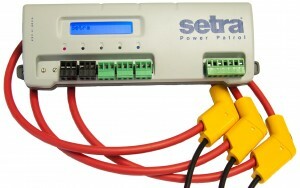 Smart grids as well as smart meters, such as Setra's Power Patrol, have been contributing to the energy management and conservation cause. The Power Patrol enables users to view baselines, set goal targets, and verify the results. CLICK HERE to see what a Setra Power Patrol can do for you.